CFCF 2012: DAYTRIPPER REGISTRATION OPEN – THE COUNTDOWN CONTINUES…15 DAYS TIL CFCF! Daytripper registration is open! If you can only attend for one day and want to get the best deal – daytripper will do it for you! You can take two 4-hour workshops for $150. We still have room for you latecomers, so don’t delay! Review the workshops descriptions here and fill out your registration form and send payment via PayPal and registration in .pdf format. Email us at cabinfeverclayfestival@yahoo.com with questions! When we decided to have the first Cabin Fever Clay Fest, we did it because we wanted to offer first class instruction from instructors from all over and to provide a venue for all artists – beginners (newbies) to professional (oldies) to learn and share. Who knew we’d be here five years later…we are so happy that we’ve been successful in bringing you the artists and instructors you’ve asked for. Over the past two years, we’ve branched out into other areas including precious metal clay, Zentangles, paper arts (books), wire arts and metalsmithing. This year is no exception! It’s not to late for you to join us…registration will remain open until the 16th February but you must get your registration and PayPal payment in asap! Our incredibly talented instructors are preparing to bring you fun-filled, action-packed days of creativity and inspiration! We’ve got some fun things planned … a healthy creative competition if you will. And our string of heart beads … in honor of Marie Segal! Just review the workshops descriptions here and fill out your registration form and send it in. Two (2) lucky attendees will be selected at the Tuesday night celebration to receive a $200 scholarship. For additional information, please email cabinfeverclayfestivals@yahoo.com. To register, download registration form here. Here are two more samples of incredible work from our instructors. Liz Potter Hall continues to create unique and eerily devine pieces from silve clay and polymer. 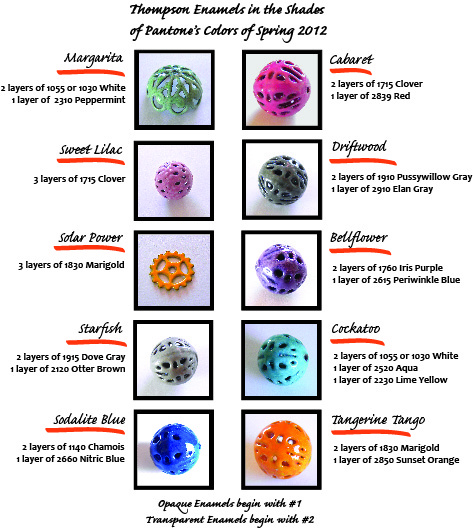 Barbara Lewis is rolling with the times with her gorgeous Pantone colors inspired beads below. What a Spring this is going to be! CFCF 2012: MERRY CHRISTMAS, HAPPY HANUKKAH, AND HAPPY HOLIDAYS! GIVE YOURSELF A GIFT FOR THE NEW YEAR! There is still time to ask your sweetheart or family for a last minute gift that will keep on giving into the New Year and beyond! Don’t miss your chance to take a workshop from one of these award winning instructors! Jeffrey Lloyd Dever and Liz Potter Hall are 2012 NICHE Award Finalists, Doreen Kassel, Jeffrey Lloyd Dever, and Lindly Haunani are all previous NICHE Award winners. Lynne Ann Schwarzenberg has won a prestigious award from Bead & Button and Barbara Lewis’ book was named the #1 Craft book by Amazon.com! Also, by registering you could win a $200 scholarship just for attending Cabin Fever Clay Fest 2012. 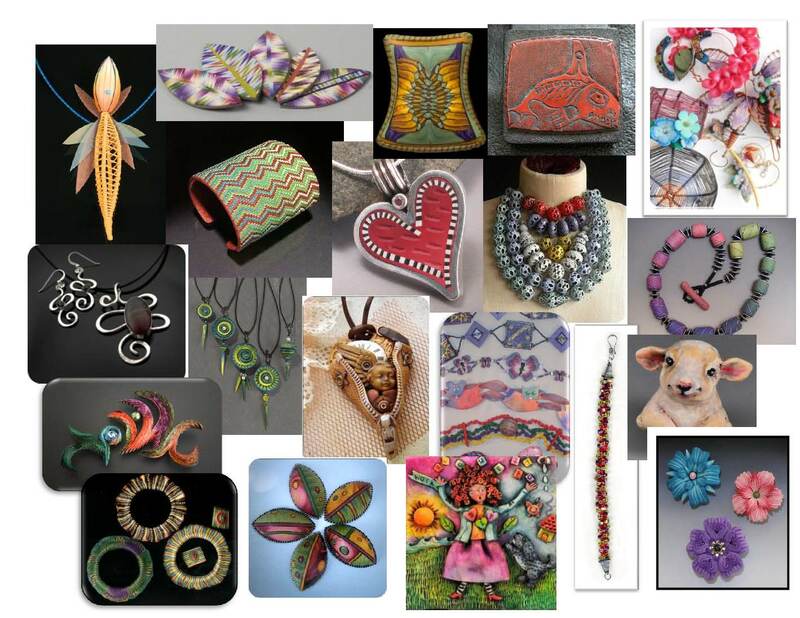 In addition to the fun activities, we will be having a silent auction on Tuesday night and will be presenting Marie Segal with the Creative Pioneer and Innovator Award for her contributions over the years to the polymer clay world. All of our instructors are incredibly talented artists in polymer clay, metal clay, mixed media, and metalworks including Blair Anderson, Jana Roberts Benzon, Jeffrey Lloyd Dever, Lindly Haunani, Liz Potter Hall, Linda Hess, Doreen Kassel, Barbara Lewis, Shannon Nelson, Kathryn Jo Ottman, Nan Roche, Lynne Anne Schwarzenberg, Marie Segal (the 2012 Creative Pioneer and Innovator Award Recipient), Sarah Shriver and Laura Tabakman. If you haven’t attended CFCF yet, it’s an action packed six days of non-stop creative learning and fun and we want you to be part of it! Review the workshops descriptions here and fill out your registration form and send it in. It’s that easy! Then, two (2) lucky attendees will be selected at the Tuesday night celebration. For additional information, please email cabinfeverclayfestivals@yahoo.com. To register, download registration form here. Just two months to go…and classes are filling. Sarah Shriver’s Tuesday workshop is full and others only have a few spots left so don’t wait…get your registration in today! We have another year with a full schedule of incredibly talented instructors in polymer clay, metal clay, mixed media, and metalworks including Blair Anderson, Jana Roberts Benzon, Jeffrey Lloyd Dever, Lindly Haunani, Liz Potter Hall, Linda Hess, Doreen Kassel, Barbara Lewis, Shannon Nelson, Kathryn Jo Ottman, Nan Roche, Lynne Anne Schwarzenberg, Marie Segal (the 2012 Creative Pioneer and Innovator Award Recipient), Sarah Shriver and Laura Tabakman. If you haven’t attended CFCF yet, it’s an action packed six days of non-stop creative learning and fun and we want you to be part of it! Just review the workshops descriptions here and fill out your registration form and send it in. It’s that easy! Then, two (2) lucky attendees will be selected at the Tuesday night celebration. For additional information, please email cabinfeverclayfestivals@yahoo.com. To register, download registration form here. Finally, Barbara Lewis’ book has been named the #1 Craft Book for 2011 on Amazon.com. 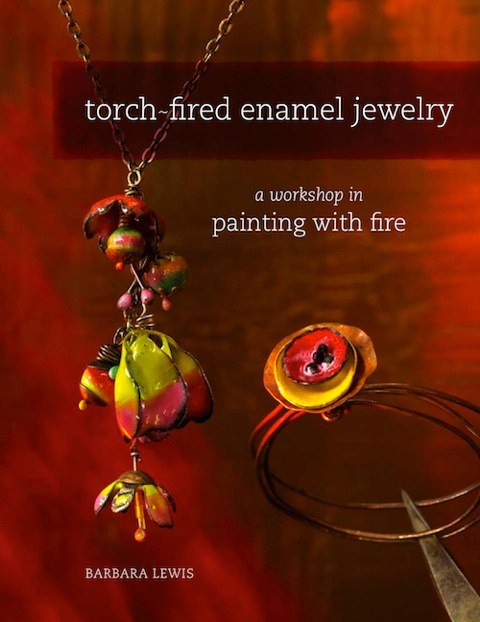 We are pleased to have Barbara teaching her Painting with Fire (Enamel Beads) at CFCF in Feb. 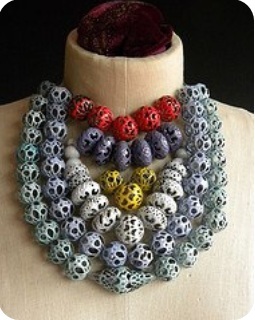 If you’d like a sneak peak at her workshop and the making of the beads, you may want to sit in on her free Webinar tomorrow through the Create Mixed Media blog today at noon. Just click on this link to register for the one hour appetizer! Then register for her full-day workshop here. CFCF 2012: WIN A $200 SCHOLARSHIP TO CFCF IN LAUREL, MARYLAND! Would you like to win a $200 scholarship just for attending Cabin Fever Clay Fest 2012 in Laurel, Maryland? IT’S NOT TOO LATE! THERE IS STILL TIME FOR YOU TO WIN!!! It’s so easy … here’s all you do. Register for the regular conference! Yep, that’s all you have to do to enter for your chance to win! Marie Segal will be teaching two workshops at CFCF 2012 and will be awarded the Creative Pioneer and Innovator Award at the CFCF 2012 Celebration. To register for Marie’s workshop, download registration form here. She is an incredible artist who started on her creative journey with oil paints at the age of 10, after working with crayons, paints, and puzzles. Her love of crafts began with doing craft projects with her mother and watching her family do the hands-on work, turning each of their homes into beautiful living spaces. 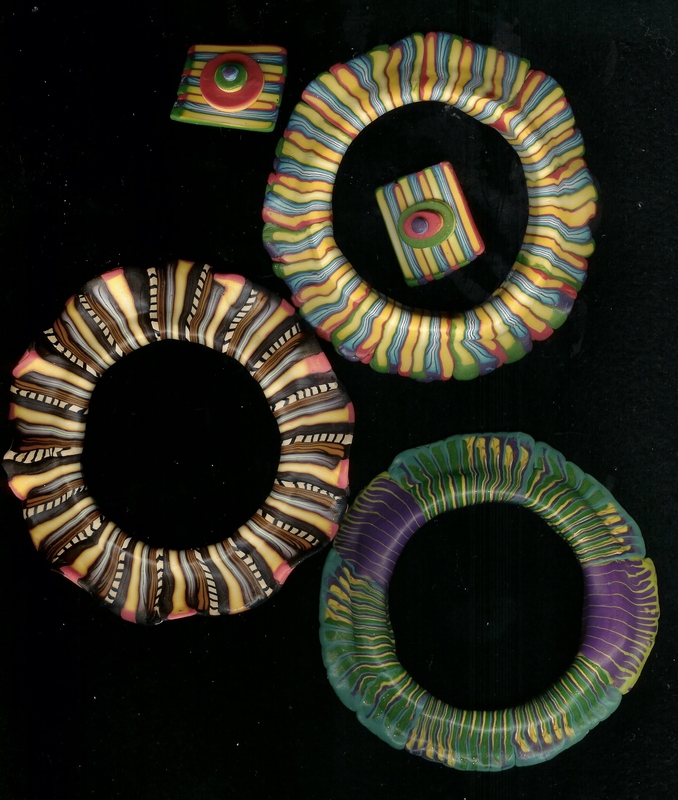 They happened upon polymer clay at a craft show in California in the late 70’s. Although she didn’t know what this medium was, she was fascinated by it and the immediacy and ceramic-like quality. They searched to try to find where it was available for sale and finally found it in an international toy store, promoted as a child’s toy product. She saw the numerous possibilities and potential for polymer. 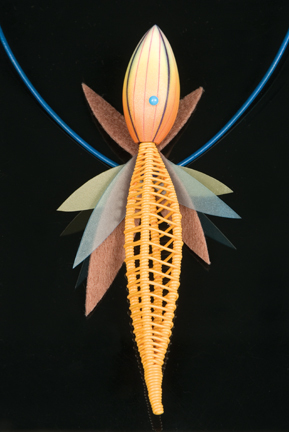 She began creating with polymer and she and Howard coined it the “new age” modeling medium. They started selling their products, doing shows, swap meets, and home shows and teaching others how to use it. She had a thriving gift business with employees and her work was in showrooms on 5th avenue in New York and Los Angeles, selling to Nordstrom’s, Macy’s, Bullock’s and the Icing, just to name a few. She believes this helped move polymer clay in to the mainstream view. 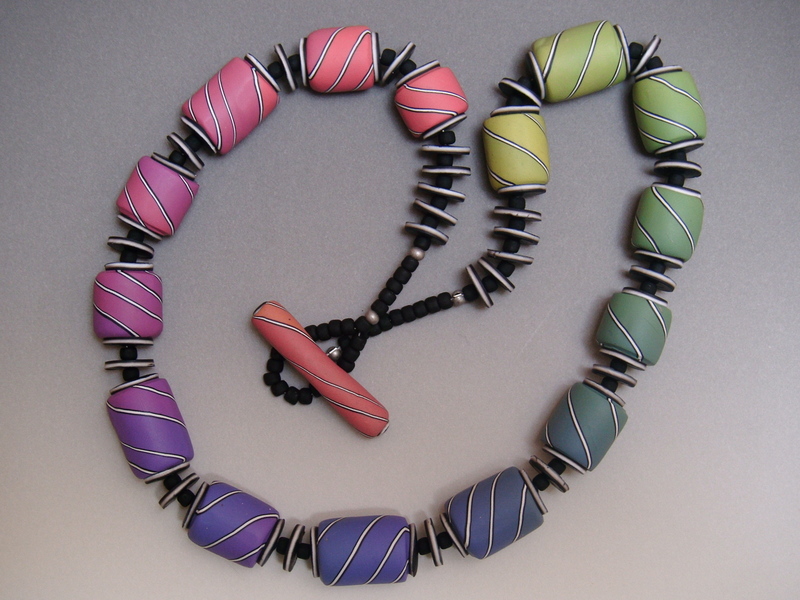 In 1994, she approached Polyform Products about producing an American-made polymer clay and in 1995, Polyform agreed providing Marie and Howard sold it. So, CFC or Clay Factory Clay was born. She worked with the chemist at Polyform to develop an artist’s color palette of clay colors. Later, Polyform took over the promotion and marketing of the clay and renamed it Premo Sculpey. It was the first time Polyform had sold their clay materials to Art stores that could relate to the painters palette. Marie traveled all over the world for Polyform, promoting, educating, and selling Premo. It was a wonderful and symbiotic relationship for many years. She also was active in writing 100’s of articles, books, trainings, and creating videos and TV spots for the public, magazines and in company literature. Marie is now working with Cernit polymer clay because she loves its color palette, consistency, finish, hardness, and the extreme durability after baking. The porcelain effect of the clay reminds her she has come full circle from working with ceramics. This change has expanded her creative abilities beyond her expectations and opened new areas that she believes might not have happened without the change. Marie still makes, writes, sells, teaches, and operates several on line store with her husband, Howard, and spends as much time as possible with her grand children. In her words, “my life is good!! !” To register for Marie’s workshop, download registration form here. You’ll get wired as Marie teaches you to play with wire and learn some of her unique ideas for using wire with polymer clay. 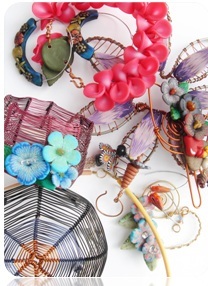 The workshop is geared primarily toward creating earring and findings, but you will also explore a plethora of techniques marrying wire and polymer clay to make your own mini pieces of art to wear, gift and sell. 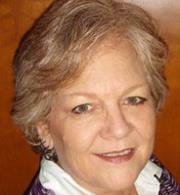 Marie joins us this year as the 2012 Creative Pioneer and Innovator honoree. Join her as she shares her years of experience with you. To register for Marie’s workshop, download registration form here. This will the first time Marie will be teaching these Unzipped hearts to anyone. 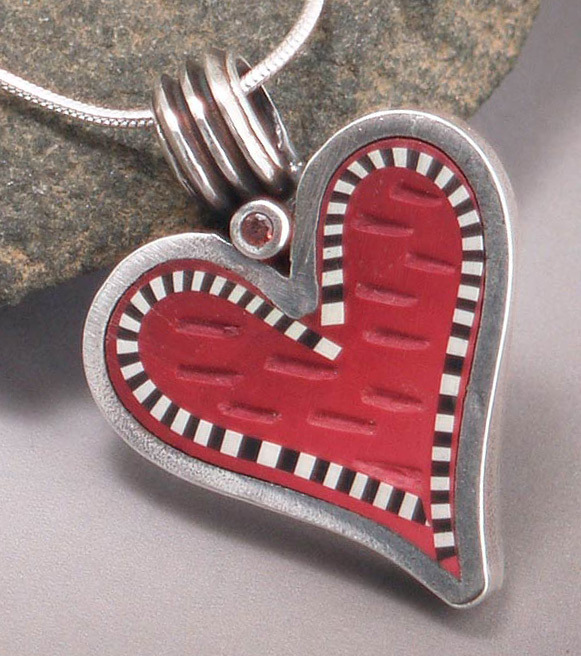 You will play with design ideas and make an unzipped heart pendant. She will share with you all of her secrets and techniques for one of her most popular designs ever. 1. How to make and add the pendant bail. 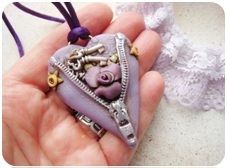 2.Stamping the heart on both the front and the back at the same time and how to do with several methods. 3. Molding and making the zipper. 4. Adding the zipper to the pendant. 5. Finishing and detailing the pendant. 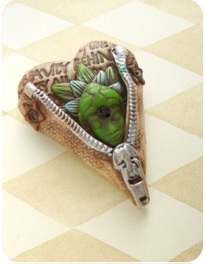 Come play with her and learn how to make these wonderful pendants with all the detail and finish them like she does. There will be a kit fee for this class TBA. To register for Marie’s workshop, download registration form here. Kathryn’s artistic passions began at a very young age and have continued to grow over the years. She is a graduate from the University of Maryland with a B.A. in Business and a minor in Fine Arts. 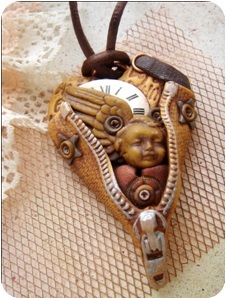 She began working with polymer clay in 2000 and has never stopped. 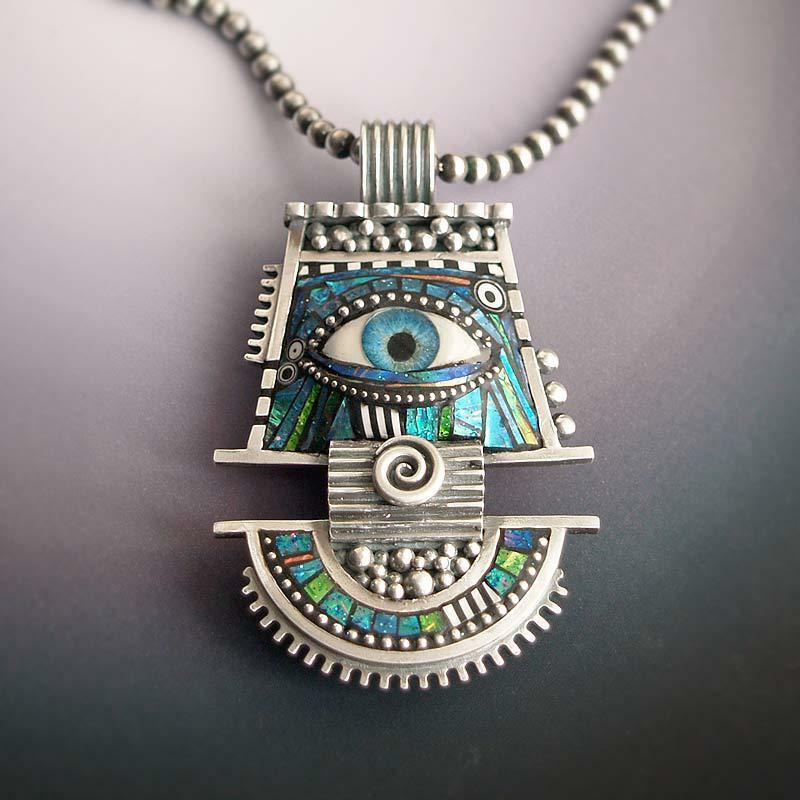 Her designs are one-of-a-kind and she has been teaching around the country and designing art jewelry and 2- and 3-dimesional artwork and sculptures for over 10 years. 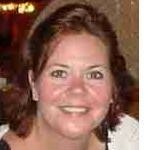 She currently teaches at Glen Echo Partnership for Arts and Culture and Strathmore Mansion in Bethesda, Maryland. Her work is exhibited and sold at fine arts and craft shows and in shops and galleries around the country and has appeared in Niche, American Style, and Metal Arts magazines. She is a former board member of the National Polymer Clay Guild and founder of Polymer Clay and Creative Arts Fests/Cabin Fever Clay Fest and the Central MD Polymer Clay Guild. She is also mother to a smart, handsome, beautiful little boy, Christian. Visit her website here. For additional information, please email Kathryn at Kathryn@kathrynottman.com. To register for Kathryn’s workshop, download registration form here. These lovely bangles are eye-catching conversation pieces. Join Kathryn as she shares this technique for the first time. Developed over 7 years ago, it uses polymer in a way that might surprise you. The organic look and feel will take you on a journey to the rainforest, the ocean floor, and over the rainbow! This class will only be taught once during the Fest, so be certain to register early. NOTE: This workshop will only be taught once during CFCF 2012. To register for Kathryn’s workshop, download registration form here.